Pieces by Polly: Usborne Books Giveaway - CLOSED! Usborne Books Giveaway - CLOSED! I'm excited about my guest today. Lisa have been friends from way back. We got to know each other when were were newlyweds over 12 years ago while we were supporting our husbands through school at BYU and then later through graduate school at UC Berkeley. Our husbands had been roommates, fellow chemistry majors, and then worked in the same lab in graduate school. Unfortunately we don't live close enough to go on daily walks together anymore, but we're still friends. Lisa is also a distributer of Usborne Books. (Can I just say I've spent a ridiculous amount of time looking through all the titles she has to offer and adding a few favorite to my Christmas Wish List board on Pinterest.) Anyway, Lisa is hear to tell you about some of her favorite titles and has an awesome giveaway for you today. I'll let her tell you about it. 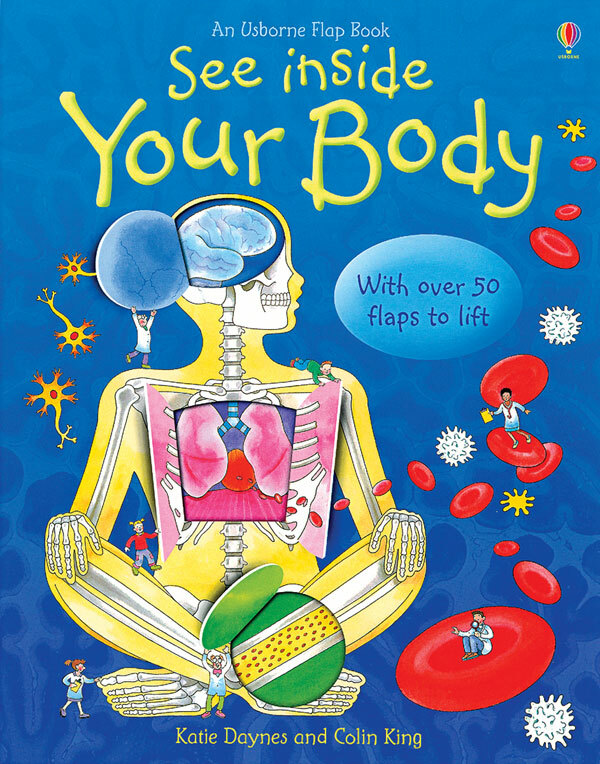 Usborne Books help kids learn to love reading. Our selection of over 1500 titles has something for every child on your Christmas list. If your Christmas list is a little too long, read on further for how to earn free Usborne Books without even leaving your house. 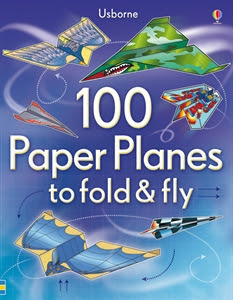 100 Paper Planes to Fold and Fly is packed with brilliantly designed paper planes to make and fly, ranging from fighter planes to space rockets and creepy flying bugs. This book features four different models to perfect, each with their own concise instructions on how to best fold and fly them. Printed on special tear-out pages, each of the 100 planes features a unique design. 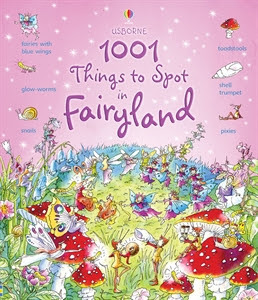 1001 Things to Spot in Fairyland is a popular book from our 1001 Things to Spot series. These books are great for quiet places like waiting rooms, church, etc. They also appeal to preschoolers as well as older kids. 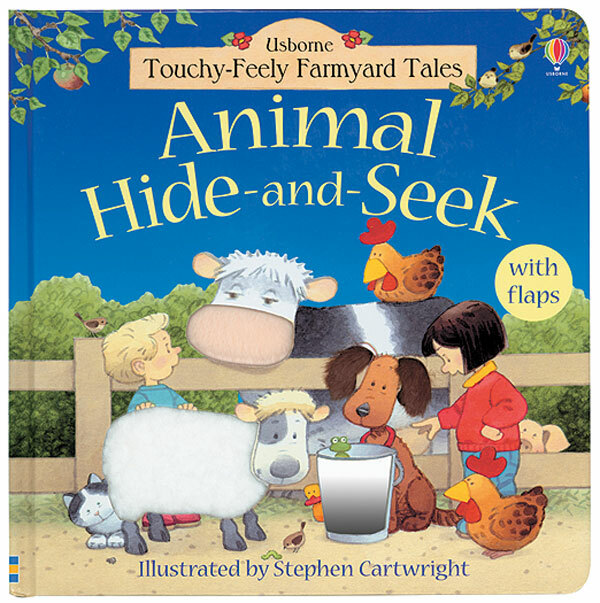 Animal Hide-and-Seek is a fun book for young children. There's a game of hide-and-seek to play by lifting the flaps, lots of furry and textured patches to feel and some simple counting opportunities too. This is a really delightful book for adults and children to share. The Big Book of Big Machines is a must for any library. Open the huge fold-out pages to discover some of the biggest and most powerful machines ever made. 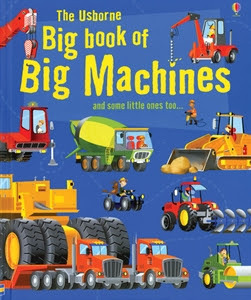 From giant excavators and monster trucks, to super jumbos and enormous ships, this exciting book will delight children of all ages. Other books in the Big Book series include bugs, sea creatures, ships, animals and dinosaurs. 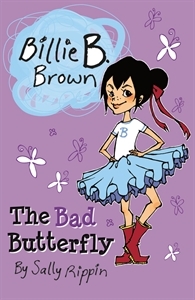 Billie B Brown is one of many great chapter books series offered by Usborne and Kane Miller. Other fun titles include The Silverlake Fairy School, Extreme Adventure, Oliver Moon, Jack Russell: Dog Detective, The Wickit Chronicles and many more. See Inside Your Body helps children to learn all about their body by exploring each system. 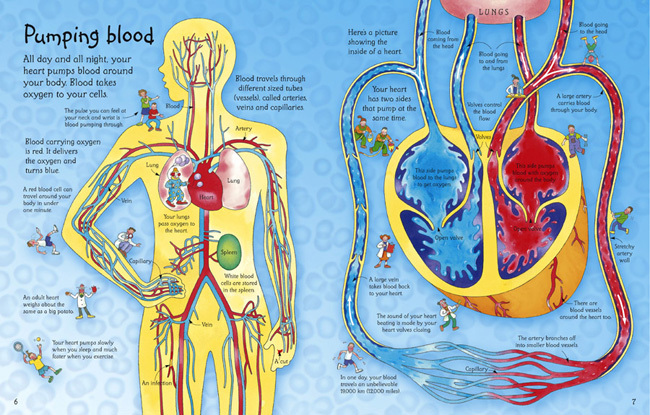 Flaps to lift, bright illustrations and text in digestible amounts help the See Inside books to be a definite kid hit. 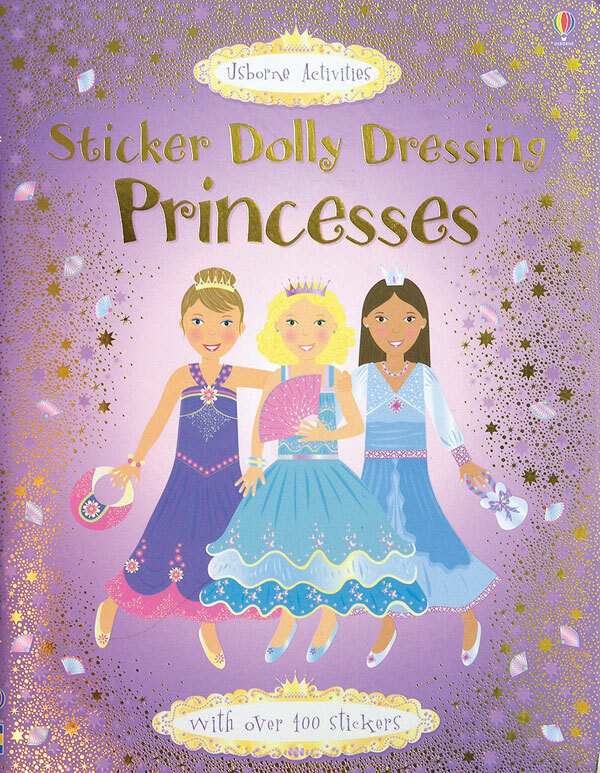 Girls love the Sticker Dolly Dressing books. 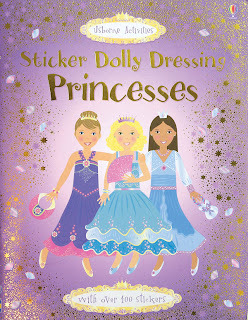 The series includes a variety of titles including Princesses, Ballerinas, Dancers, Pop Stars, Travel, Fairies, Sports Girls and more. 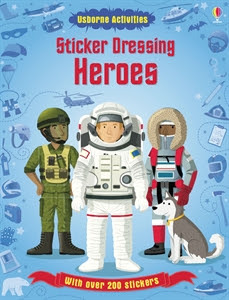 For the boys, the Sticker Dressing books are a hit. This series includes titles such as Warriors, Heros, Sports, Pirates and more. Younger kids love the coloring books that include stickers. Be sure to browse the entire sticker book line. All stickers can be repositioned and won't stick permanently to places they should not be. And children learn to turn just one page at a time or else the mouse gets lost. 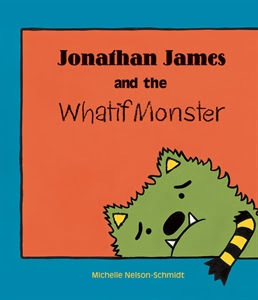 Jonathan James and the Whatif Monster is a fun picture book that is great for ANYONE who has fears about trying new things. Every time Jonathan James wants to try something new, the Whatif Monster comes along with all sorts of "What if's." See how Jonathan James overcomes his fears and his Whatif Monster. 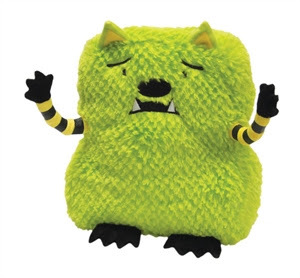 The Whatif Monster plush is so soft and cuddly and makes an excellent companion to the book. Has your wishlist grown too long? If you'd like to earn free Usborne Books, simply host an online eShow. I will create a personal link for you that you can send to all your friends and family. The total amount of orders purchased through your link earn you free books. There is plenty of time to run your eShow and have your free books to you well in advance of Christmas. Another way to get the books on your wishlist is to become a consultant. Help families and organizations provide quality books for the children in their lives while helping your own family financially. There are not a lot of consultants and we can use more help. We also have a great November special plus many people looking for affordable, quality gifts right now. To set up an eShow or for more information about becoming a consultant, contact Lisa at lisa@polkadotbooks.com. And now for the Giveaway! Lisa is giving away any item from her Usborne store valued at $8.99 or less. 1. Be a follower of Helping Little Hands via blogger, Facebook or your favorite blog reader. Leave a comment telling me how you follow my blog. 2. Head over to Lisa's Usborne store. Then come back here and tell me what your favorite book is. 3. 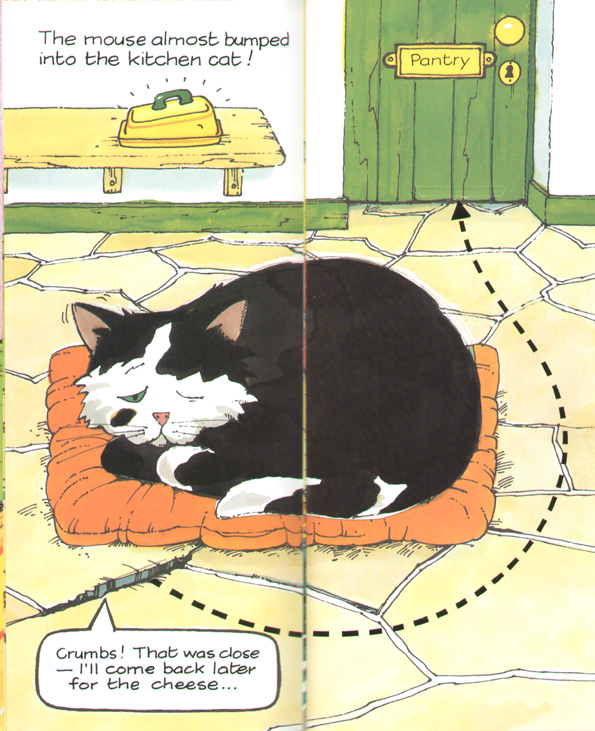 While you're at Lisa's Usborne store, pin a favorite book to one of your pinterest boards. Then come back here and tell me in a comment. 4. Subscribe to Enter: Subscribe to newsletter on Lisa's Usborne site. Look for the place to sign up on the left hand side of the page. Then leave a comment on this post letting me know you signed up. There's a Mouse About the House looks like a fun book that both of my boys would love! Those sticker dressing books are so fun. I have recently discovered Usborn and wish I had found them years ago when I first had my son. I am following you on GFC to keep up with all that you have going on over here. Hi! Holy giveaways Polly!! This is awesome!! So, I follow on google friend connect thingy. So, in her shop, I like the airplane folding book (would be so cool to make a bunch and hang them from the ceiling). And also, the doodling books look cool and useful. In her shop I guess my favorite is The Usborne Book of Princess Stories. My Very First Art Book looks really great! I pinned a few of the Phonics Readers. My son would LOVE those. Hi Polly! I of course follow on FB and through google. I've been wanting a squirrels tale for a while. My kids love the mouse about the house. I pinned "That's not my Kitten" because I think I need to get a copy of that book for my sweet little girl Kit. I would definitely have to go with the paper airplane book. My son makes paper airplanes out of scrap paper every day and these colorful designs would be so fun. He just decided to have a paper airplane party at the end of this month so I'm busy planning. Thanks for sharing about the contest and these great books. We have several older books from Usborne but it is fun to see all their newer books available. I pinned The Railway Children! Choosing a favorite book over there is really difficult! I love the one you show about the mouse because I have been teaching my 3 year old grandson some writing skills. We have also been doing phonics and so I think I would have to choose The Big Pig on a Dig as a favorite because he would love it along with the others in that series which would be terrific teaching tools! Thanks. I went back and signed up for Lisa's newsletter. This is going to be fun! Thanks! I always love new books! Teaching my grandchildren to love books has been a delight! I'm torn between "There's a Mouse About the House" and "See Inside Your Body". They both look great!